Samuel is quickly developing a reputation for his work in contemporary opera. He recently served as the Assistant Conductor for David T. Little’s DOG DAYS and Du Yun’s ANGEL’S BONE for the 2016 PROTOTYPE Festival in New York. In 2015, Samuel conducted D.J. Sparr’s APPROACHING ALI with North Carolina Opera, Gary Fagin’s A DISTANT LOVE with Chelsea Opera, and Thomas Pasatieri’s THE HOTEL CASABLANCA for Hunter College Opera Theater. He also served as Assistant Conductor for the 2015 tour of Little’s DOG DAYS to L.A. Opera and Fort Worth Opera in a co-production with Beth Morrison Projects. Samuel served as Assistant Conductor for the 2014 world premiere of Kamala Sankaram’s THUMBPRINT and the 2013 world stage premiere of Mohammed Fairouz’s SUMEIDA’S SONG, both with the PROTOTYPE Festival. During the 2013-2014 Season, Samuel served as Guest Conductor for Chelsea Opera’s production of LA PIZZA CON FUNGHI by Seymour Barab, and Assistant Conductor for the New York premiere of WINNERS from the opera Ballymore by Richard Wargo. He also served as Assistant Conductor for the world premiere of Matthew Harris’s THE MARK OF CAIN with Chelsea Opera. Upcoming contemporary opera engagements include his debut with LA Opera as Conductor for Kamala Sankaram’s THUMBPRINT in 2017. Equally at home with the classics, Samuel led Chelsea Opera’s 2015 production of TOSCA and their 2014 production of THE TENDER LAND as Music Director/Principal Conductor. 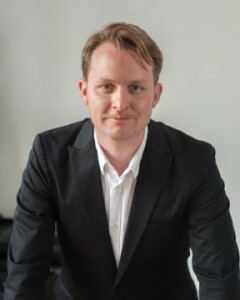 Samuel has led productions of DIE ZAUBERFLÖTE and GIANNI SCHICCHI with dell’Arte Opera Ensemble and LE DONNE CURIOSE with Opera Moderne in New York City. Regionally, he has led productions of LA TRAVIATA and LE NOZZE DI FIGARO with Rogue Opera, and served as the Assistant Conductor for North Carolina Opera’s production of Verdi’s AIDA. As Principal Conductor for Puget Sound Concert Opera in Seattle, Samuel led performances of SUOR ANGELICA, SIMON BOCCANEGRA, COSÌ FAN TUTTE, CENDRILLON, DIDO AND AENEAS, and scenes from THE FAIRY QUEEN.